permeable interlocking concrete pavers are designed to reduce the rain water runoff from municipal, commercial and residential pavements. TM pavers have self-aligning spacer bars that provide a strong structural interlock and create the narrow joints between adjacent pavers. These narrow joints when filled with a course aggregate facilitate the swift infiltration of rain water. 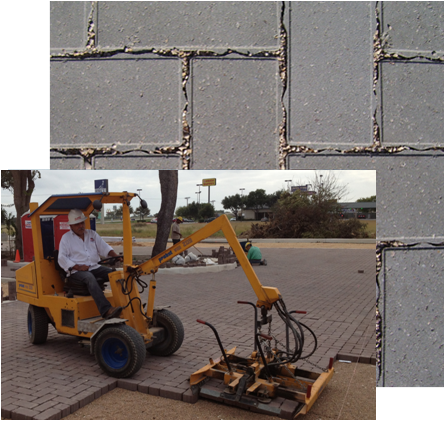 TM pavers with their flat top surface, small chamfers and narrow joints makes this paver ideally suited for pedestrian and ADA pavement requirements.